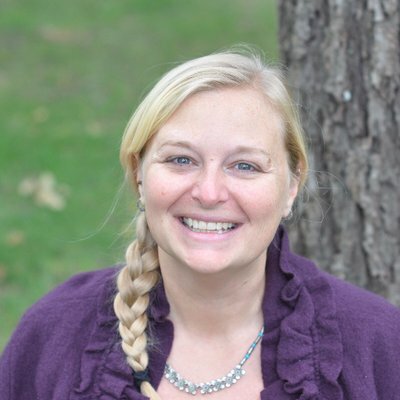 Raelene Crandall is an Assistant Professor of Fire Science at the University of Florida in Gainesville, FL. She uses ecological models to predict and test how fires will affect competitive interactions between species, plant and insect biodiversity, and demography of invasive species. She has worked in many ecosystems, but her favorites are pine-hardwood forests of the Midwest and pine savannas of the southeast. 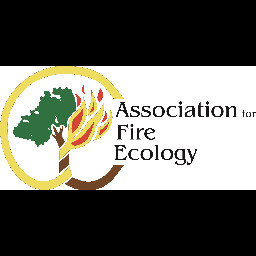 For more information about Dr. Crandall, including a list of publications, visit www.ecologyonfire.com. Low intensity fires were historically recurrent in mixed-pine hardwood habitats in North America. In the absence of fire, open savannas and prairies were converted to closed-canopy forests with low understory plant diversity. We examined the effectiveness of restoration using fire (1-4-year return interval) and timber harvesting on plant diversity and stand structure 20 years after restoration was initiated. We found that one- and two-year burn intervals prevented establishment of woody species in the canopy and resulted in prairie habitat with the greatest plant diversity. Three-year burn intervals created savanna habitat with patchy and clumped establishment of woody species. In the four-year burn intervals, open woodlands appear to be forming at a higher density. We conclude that restoration of species richness in fire-suppressed, mixed-pine hardwood forests is possible with prescribed fire alone after extended periods of time. However, restoration of structure and function in the short term for species of special concern (i.e., woodland-grassland obligate songbirds) will require alteration of stand structure through thinning to open the canopy and restore these habitats to their historical state. Although a three-year burn interval appears to be a threshold, shifting community structure from herbaceous to woody dominated, we recommend a variable, frequent fire regime. Fire is an environmental filter that selects for woody species able to survive or recruit and grow quickly in the post-fire environment. Before restoration, it is important to examine the post-fire regeneration modes and demographic responses of invasive and coexisting native species to determine whether fire will have a detrimental effect on their competitive interactions. We reintroduced fire into fire-suppressed forests of central USA and measured the demography of an invasive shrub native to Asia, Lonicera maackii, and two coexisting native shrubs. We found that burning had no significant effect on the population growth rate of the exotic, but negatively affects those of the natives. Furthermore, the species had different modes of post-fire regeneration; the invasive and natives resprouted from aerial buds and root crowns, respectively. Lonicera maackii has been shown to outcompete native plants by blocking light attenuation; it grows quickly and spreads, allowing very little light to reach the forest floor. Burning may enhance this advantage because L. maackii is able to maintain its location in the shrub canopy while native species become restricted to the shrub understory. In this case, fire acts as a filter that quickly and dramatically alters the competitive balance between natives and invasives.